There is a song “The Joke Isn’t Funny Anymore” by British Alt Rock band, the Smiths, which mocks the loneliness and suicidal behavior. It could be possible that I have misinterpreted the song. But the song do suggest, the joke isn’t funny anymore. People change over the time, so does the humor. The joke which was relevant, then, is not funny anymore. So why people shame those who tells them the truth. In my circle, we have a running joke about a person. And it was damn funny, if you hear it for the first time, I bet, you will die out of laughter. But like I have said, every joke has a life, after that it loses its relevancy and meets the fate. And similar to that, our running joke has outlived its fate. 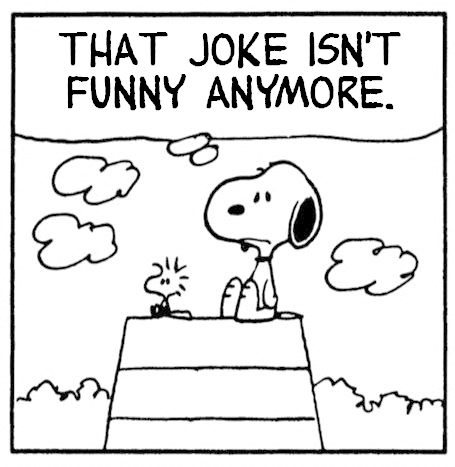 When I realized that it isn’t funny anymore and expired its limit. Now, it is nothing but a lame comment which hurts. I protested. 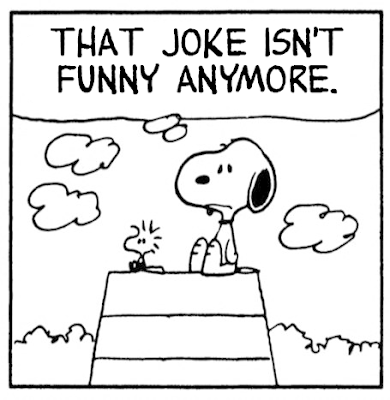 And in consequence, I was accused of being not funny, became their new laughingstock. It is not like that I was not part of that joke. I confess, I was part of that joke. I used to crack that joke, whenever I wanted, but then I was a very different person altogether compare to now. With the passage of time, the world has changed, a lot. I have changed a lot. If you don’t believe me, just go through your Facebook or Twitter feed or whatever. It is not same as it was on last Friday. So one need to understand, the joke isn’t funny anymore and they need not to loath any person who don’t laugh at their jokes.